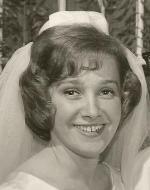 Arlene R. Gurecki, 75, of Farmington Hills, Michigan, died on 22 March 2019. The Funeral was held at IRA KAUFMAN CHAPEL on Monday, 25 March 2019 at 11:00 AM . Interment at Beth Yehuda (Workmen's Circle).